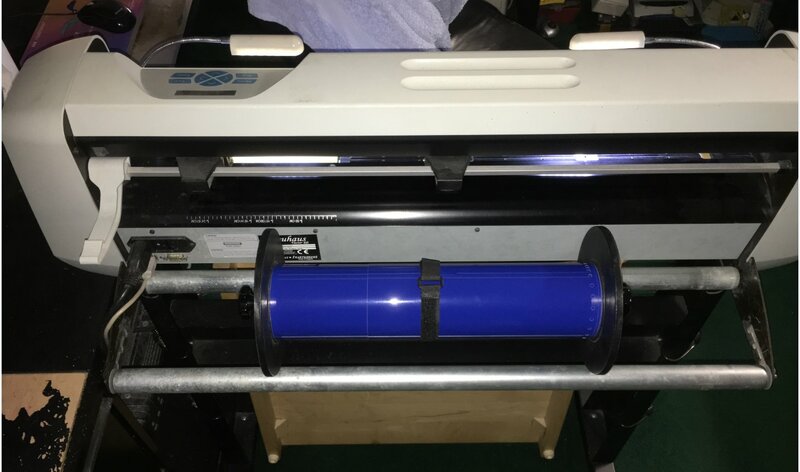 Does anyone know if the HP Cutter's blades are proprietary? I know the unit is actually manufactured by Summa. I've looked at the D series blades for Summa and they look similar but it is hard to say if they are exactly the same. HP wants a small fortune for their blades so I am looking for an alternative. I've always used the clean cut blades so I was curious if the Summa blades will work. If you get in touch with the clean cut guy he can tell you if they are compatible. He makes blades that will fit my Summa although I actually use the 36deg Summa blades most of the time. Yes sir. I did contact him and he said he was not sure if they were compatible or not... I just have no idea how different the HP machines are from the Summas. what model of HP vinyl cutter do you have? Send Ross one of your old ones I bet he can gauge it out and check for you. How much do the HP blades cost? The cutter is the one that comes with the Latex 115 package. All the specs just say "HP Latex 54 Basic Cutter." The actual model number is the 1NC42A. US cutter wants $191 for five blades and a cutting strip. I guess its not a fortune like I said before but it does seem a little high. Their "Specialty Blades" are $269 for the 5+1 package. It says they are to be used for rhinestone applications and "some transfer media." Not sure what would be different about them except the cut angle. It's all very vague. I can't seem to find any other information anywhere. I'll waste $10 on a Summa blade to compare or do what Wildgoose suggests and send one off to Ross to compare. By the way: The cutter looks exactly like the SummaCut D140 with a few minor exceptions. Why would HP bother to change the blade and blade holder? The only place that I found the part number for that blade kit, was the same price. $191. I have a Summa D60 I corrected an error in a micrometer reading below. The HP Blades are .0585 in diameter and .766 in length. I'm guessing that could be manufacturing tolerances or difference in calibers. Wow, My micrometer is off I rechecked it with another an it's reading .0585 on the diameter and .0754 on the length. That does look exactly like the Summa. I know the nearby Summa dealer has started selling HP printers too so I bet there is some sort of back scratching going on. The blade holder in the video I watched from their site looks just like my 30" machine. I think I pay $125 for a 5 pack plus a healthy shipping fee from Summa (Now Airmark) Used to be less than CC. 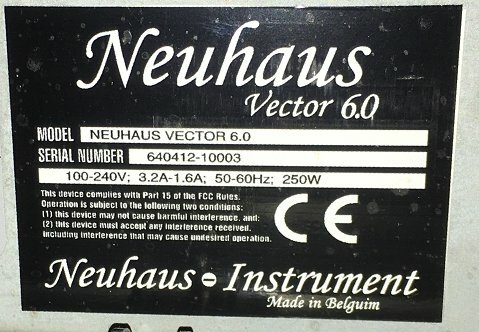 My Summa D60 is actually badged a Neuhause Vector 6.0, Bade in Belguim. So I'm guessing that Summa will manufacture and sell under different names. SignWarehouse has the Summa blades for $11. I'm assuming the are not factory blades though. If they work I will let everyone know just for reference. You're right, they don't cut all the way out to the edge. My Summa will cut about 13.5" on a 15" wide roll and about 22.5" on a 24" wide roll. You'll also need a little extra on the top end to keep the sensor covered. But on the up side they do track very well. 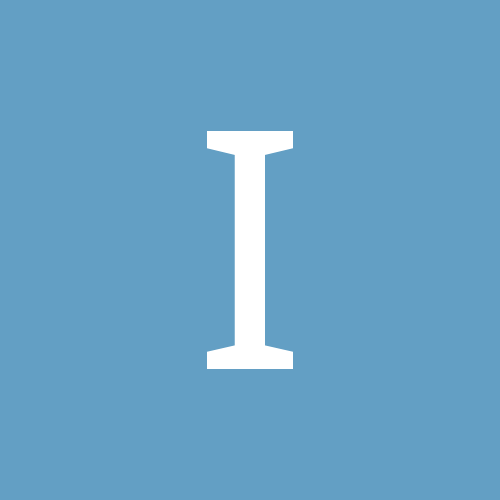 Do you use the Media Flanges? They really help with the tracking. I'm extremely impressed with how well they track. When I'm cutting printed graphics and using the OPUS to adjust the skew it cuts almost perfect. According to the specs, the tracking is +- .0004 in when using the skew tracking. For cutting non-printed media I am using the media flanges. Mine has two tracks that slide on the front roller that the media flanges "lock" into. They don't move and it makes it track awesome. I can't tell by the picture if yours has them.